Discussion in 'Gear & Equipment Discussion' started by maravillin, May 25, 2014. Has anyone tried out or purchased the old school shevlin flores style training gloves? I really like how compact they are and the short triple cuff. How long lasting and durable is the horse hair padding? Is it to hard to spar with? The "Flores" style of glove is only sold by Bill Beaulieu. The "Shevlin" style of glove combines the horsehair with a filler substance that Shevlin also employed and is available through Topboxer. I'd go for this option. Horse hair isn't "hard". I had some Dan Mosby horsehair mitts, and I also used to own Shevlin gloves, and their padding was very durable. These gloves will also be well constructed so I imagine they will definitely last awhile. They're expensive at $200+ though. Did u do a review for your shevlins? No I didnt. They were actual shevlin gloves, not from Topboxer. I bought them second hand from someone who did review them so I'm sure if you searched you could find their review. Thanks. What weight and did you spar with them? I own both shevlin and top boxer old school gloves. The 16 oz Shevlin's are great for sparring and perhaps mitt work. 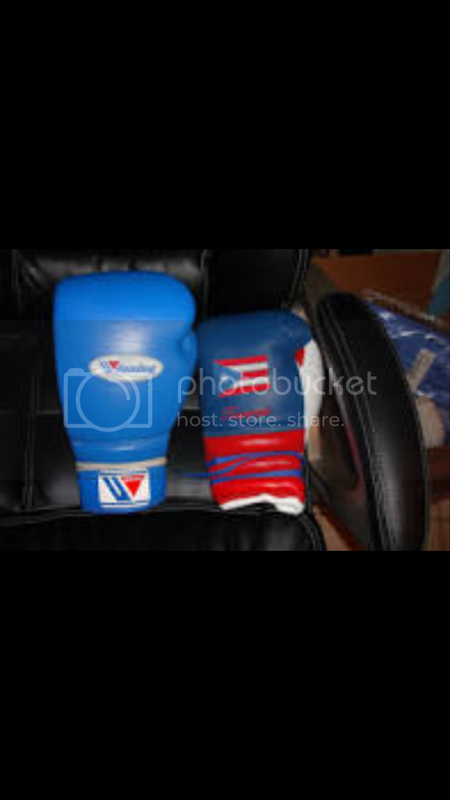 The top boxer O.S gloves have a similar padding style but it feels slightly denser because its more tightly packed. I haven't used them to sparr but I suppose you could. Provided you find a willing partner. My pair are not labeled with a weight but they look like a well padded fight glove. I have only used mine on heavy bag sessions and mitts. One thing I will say is that the top boxer OS gloves are not for big hands. I would describe my hands as average sized and at first they barley fit. But now they have taken shape to my hand and fitt great. They are probably my favorite pair of gloves right now next to my 10 and 12 oz winnings. Thats whats great about the soft fill gloves- they kind of form to your hand. Also its worth mentioning that they have narrow wrists. Which is great for me as I have slender wrists. Not like Grants or other gloves who seems to be making gloves for gorillas. The thumb position and design is also superrior to shevlin. The liner on OS gloves is the only neg in my opinion. I suppose for continuity- being an old school glove Muhammad uses a canvas like material for liner. I would perfer a more modern nylon/satin liner. 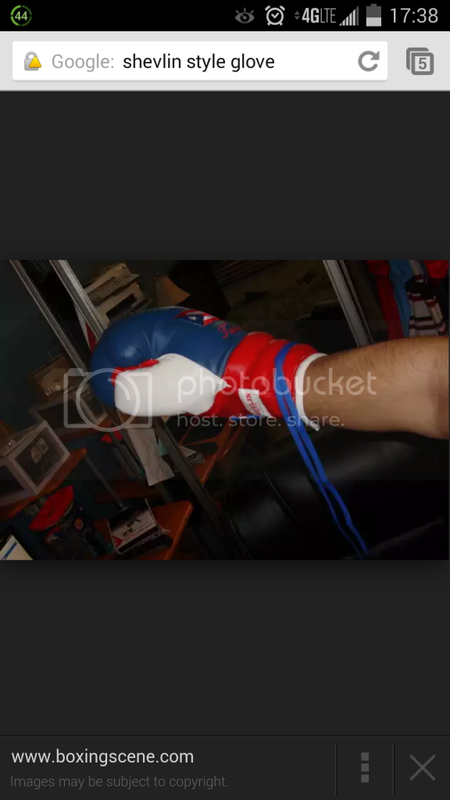 Forgot to mention the top boxer OS gloves I'm talking about are not the tripple cuff model. ( Although I have a pair of those currently in production as well). Rather they are are the flat cuff. Which is a totally different cut/design than the flores style tripple cuff training models. Sorry. You can have Muhammad customize the hand compartment too. You just need to give him your hand measurements. but I don't have way of posting them. I have seen a pair exactly like mine posted somewhere here in G&E. They were black alligator/ croc skin and gold color scheme. But the ones posted were personalized W/ screen printed name. As if someone else in the gym would have the same pair? Also I saw pictures of my nike greco supreme inspired trainers. Someone thought they were modeled after floyd's REEBOK Trainers, I guess they look similar.. but their not. 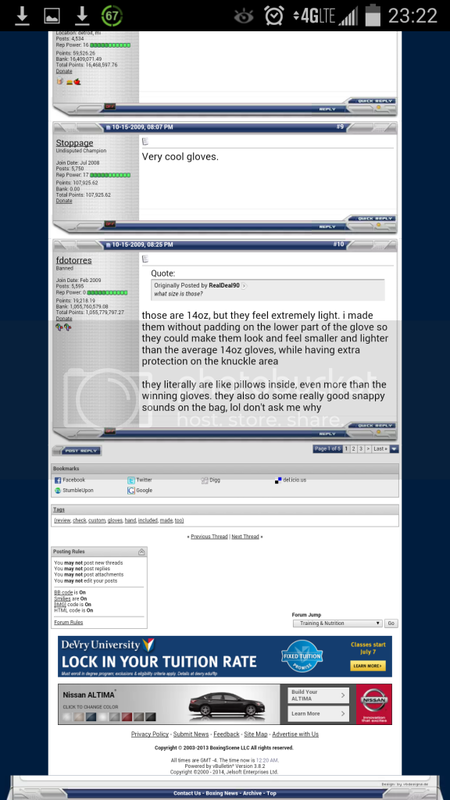 And I also saw pics of the winning inspired super soft sparring g gloves I helped design. DON'T KNOW HOW THOSE PICS GOT THERE.... THERE SUPPOSED TO BE TOP SECRET. I'M LOOKING AT YOU MUHAMMAD.